Scotch Broom (Sarothamnus Scoparius) other names: Bannal, Basam, Besenginaterkraut, Besom, Bizzom, Breeam, Broom Tops, Browme, Brum, Butcher's-Broom, Cytise à Balai, Cytisi Scoparii Flos, Cytisi Scoparii Herba, Cytisus scoparius, Escoba Negra, Genêt à Balai, Genet à Balais, Genettier, Genista andreana, Ginsterkraut, Grand Genêt, Herbe de Hogweed, Hogweed, Irish Broom Tops, Juniesse, Retama Negra, Sarothamnus scoparius, Sarothamnus vulgaris, Scoparium, Scoparius, Scotch Broom Herb, Scotch Broom Flower, Spartium scoparium. The scotch broom plant is a stiff and many branched shrub that can reach ten feet when fully grown. Compound leaves are present on the lower part of the herb; the lower compound leaves are made up of three leaflets each. Leaves in the upper part of the scotch broom are normally undivided and whole. From April to June, the scotch broom gives out bright yellow and pea like flowers, each flower is about three fourths of an inch across. The flowers of the scotch broom bloom singly or grow out in pairs along the branches and are subsequently followed by the production of brown and hairy seedpods, each of which is two to three inches in length. In medieval Europe, the typical housewife used the twigs and branches of the scotch broom as domestic tool for sweeping the floors. A common belief in the Middle Ages was that the scotch broom could repel witches; however, using the scotch broom while it was in full bloom was believed to invite bad luck on the house. The prevalence of this superstition can be gauged from the words of an old English saying that states: "If you sweep the house with blossomed broom in May, you are sure to sweep the head of the house away." It can be seen that the scotch broom had both utilitarian and superstitious uses attached to its use. The scotch broom is additionally linked to a long heraldic history and tradition. One tradition states that, Count Geoffrey, who was the count of Anjou from 1129 to 1149, adopted the scotch broom as a symbolic badge and fixed it to his helmet - he may have done this to help his troops could follow him into battle with ease of identification. The scotch broom was again chosen as a symbol a century later, when a new order of knighthood was founded by Louis IX of France; this king chose the scotch broom as an emblem of humility. Thus, the humble broom was used as a heraldic symbol in Europe. Herbalist also prepared medications using the scotch broom and the herb was believed to be of great value as a medicine. For example, in the 16th century broom was often given as a diuretic and as a purgative herb to patients. The herb was at one time a very common herbal treatment for many ailments and disorders. The distilled water of the scotch broom flowers was reportedly drunk as a remedy for illness, by none other than the great Henry VIII - king of England. The beneficial properties attributed to the scotch broom plant are not supported by modern research, and though several modern herbals still list scotch broom as being a good diuretic and cathartic - strong laxative - herb, the official medical community does not recommend the use of the tops of the scotch broom plant as the tops contain many plant toxins which can be injurious to health. The scotch broom is an European plant, indigenous to continental Europe. The scotch broom plants are a common sight on heaths, in pathways and along roadsides, and in open woodland or waste lands. The scotch broom has been naturalized in many temperate regions of the world; this includes the US, where the plant is now quite a common sight in woodlands. From spring to the fall, the flowering tops of the scotch broom can be collected for use in many herbal preparations. Scotch broom plants are still used to make the traditional sweeping implements in some areas, though the practice is now mostly restricted and is a cultural rite with no functional or utilitarian ends. The scotch broom thrives well in nearly all types of soil, but has a preference for a reasonably good, but not very fertile soil. Scotch broom also has a preference for poor soil, which has a proper drainage system. Scotch broom also thrives in somewhat acidic, limy and neutral soils, but loathes thin soil on top of a chalk base. Herbalists have developed several named varieties of the scotch broom for the species ornamental worth. Scotch broom bears new leaves in April, but soon these leaves wither away and the plant carries out photosynthesis by means of its green stems. The scotch broom can tolerate cutting and is quick to grow again from its base. While it has been found that usually fire destroys the plants, they grow from their seeds and become established quite quickly once the fire is over. The scotch broom is an excellent bee plant and several varieties of caterpillars find it to be a good food. The scotch broom especially supplies food for the green hairstreak butterfly’s larvae. Even ants are drawn to the seeds of scotch broom and they sustain on the succulent attachments that bind the seeds to the pods. In fact, the ants are responsible for spoiling the seeds. One of the principal uses of the scotch broom is as remedy for treating an irregular and fast heart beat rate. Cardiac nerves and the electrical conductivity cardiac tissues are affected by the scotch broom; the herb slows down and regulates the transmission of the nerve impulses in cardiac muscles. The strongly diuretic action of the scotch broom is another reason for its use as a medicine; the scotch broom helps stimulate the production of urine and counters fluid retention in the body. The scotch broom has been employed in preventing excessive blood loss following the birth of a child due to the fact that scotch broom induces the muscles of the uterus to contract. The tips of tender herblike flowering shoot of the scotch broom plant possesses cathartic, cardiotonic, emetic, diuretic as well as vasoconstrictor properties. Even the seeds of scotch broom are used for therapeutic purposes. Together with lily of the valley (botanical name Convallaria majalis), the broom herb is employed internally for treating problems related to the heart. Some people use Scotch broom for bleeding gums, a bleeding disorder called hemophilia, gout, achy muscles and joints (rheumatism), sciatic nerve pain, gall stones, kidney stones, spleen disorders, yellowing of the skin (jaundice), lung conditions, and snake bites. Scotch broom is also used for cleansing the intestine and to cause vomiting. Scotch broom is applied to the skin for sore muscles, pockets of infection (abscesses), and swelling. Scotch broom is also used in hair rinses to lighten and brighten hair. The bark of the scotch broom plant yields an outstanding fiber that is utilized for manufacturing cloth, paper and nets. However, compared to that obtained from the Spanish broom (botanical name Spartium junceum), this fiber is not very strong. The bark fiber that is utilized for making paper is roughly anything between 2 mm and 9 mm in length. The branches of the scotch broom plant are harvested either during the latter part of summer or in autumn, and the leaves stripped from the stems are put in lye steamed till you are able to strip the fiber. In fact, the fibers are cooked for roughly three hours and, subsequently, placed in the ball mill for another three hours. The paper produced in this process has a light tan hue. The bark of the scotch broom plant is an excellent resource of tannin; the bark yields a yellowish as well as a brownish dye. While the flowering stem of the scotch broom plant yields a yellow dye, the leaves and the tender tops yield a green dye. The slender branches of the scotch broom are also employed for making brooms, brushes, baskets as well as besoms. Occasionally, the branches of the shrub are also utilized to make thatched roofs as well as an alternative for reeds while making screens or putting up fences. 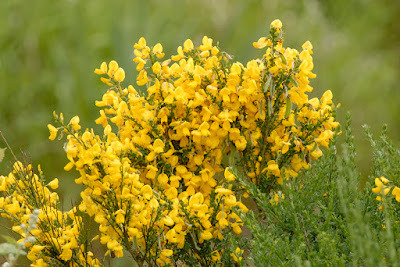 The flowers of scotch broom yield an essential oil that is used by the perfumery industry. Scotch broom thrives well on dry banks of water bodies as well as on slopes that are steep. Scotch broom is effective in binding sand and also stabilizing soil. In fact, scotch broom is among the first plants to form a colony on sand dunes along the coasts. One striking feature of scotch broom is that it draws insects from neighbouring plants. The wood of scotch broom is extremely tough and has beautiful veins. As the scotch broom rarely grows to an adequate height, its wood is not much valued in the form of timber. However, cabinet makers value the plants of larger varieties. Besides, its wood is also valued for making coverings. Besides its therapeutic uses, the scotch broom plant also has culinary uses, for instance, the flower buds of this herblike plant may be included in salads. In addition, they are pickled and also used as an alternative for capers. The plant’s young green tops have been employed in the same manner as hops to provide a bitter essence to beer and also make it further intoxicating. The seeds of scotch broom plant are roasted and used as a substitute for coffee. Scotch broom is likely unsafe to take by mouth. Scotch broom can cause heart and circulation problems. 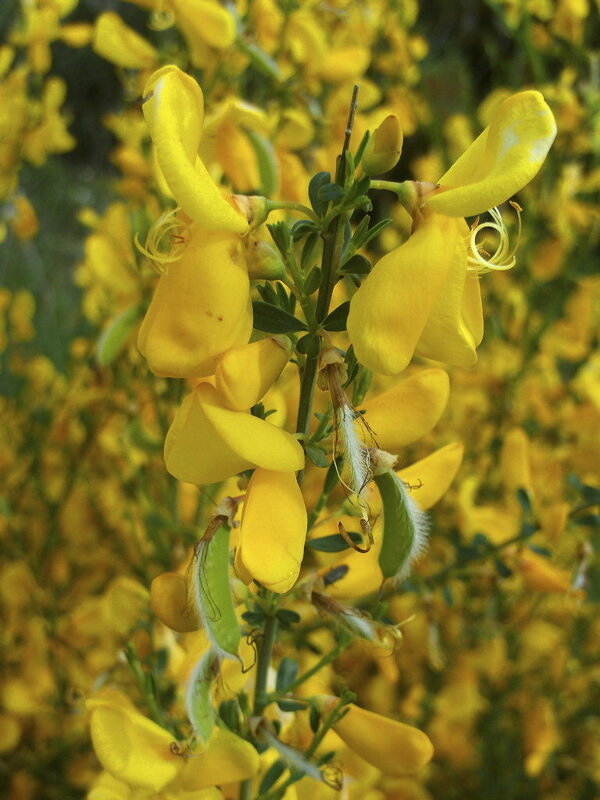 Scotch broom might also cause side effects such as nausea and diarrhea. 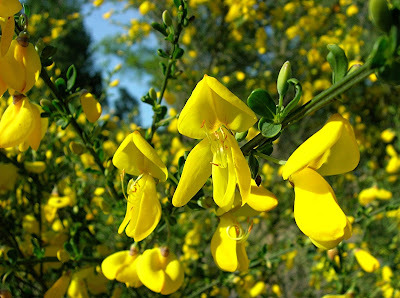 Pregnancy and breast-feeding: Scotch broom is likely unsafe when taken by mouth during pregnancy. Scotch broom might cause a miscarriage. Scotch broom is also considered likely unsafe to take by mouth during breast-feeding. Heart disease: Scotch broom might affect the heartbeat. Don’t use scotch broom.